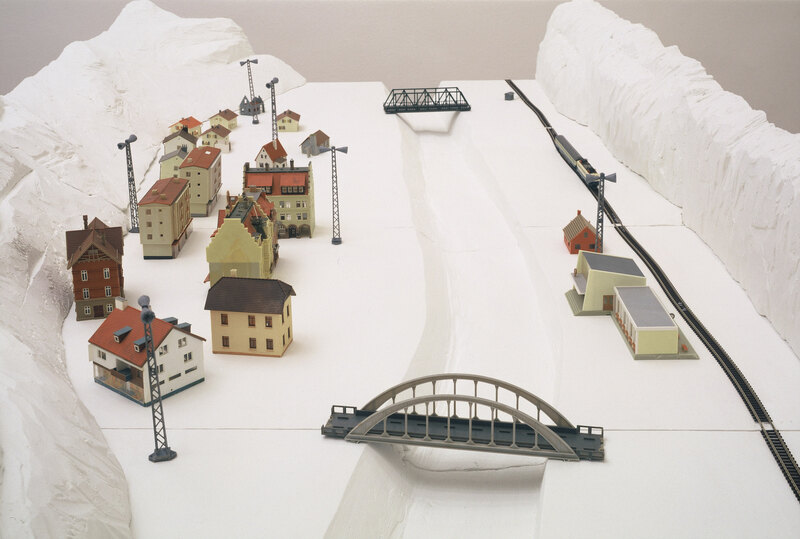 A scale model landscape of a village, with a train running back and forth. A village with miniature public loudspeakers (public address system). 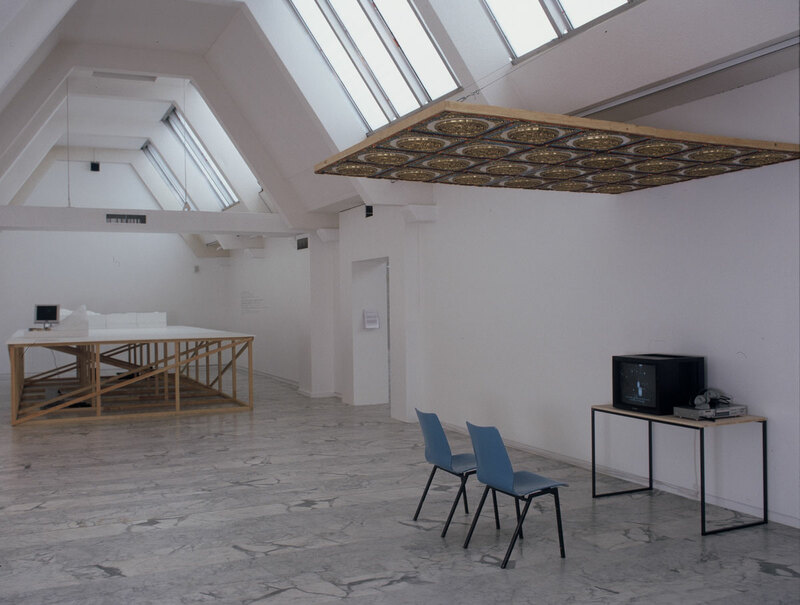 A sound installation that starts with the first accords of the Chinese national anthem; followed by a voice-over narration describing a small village. 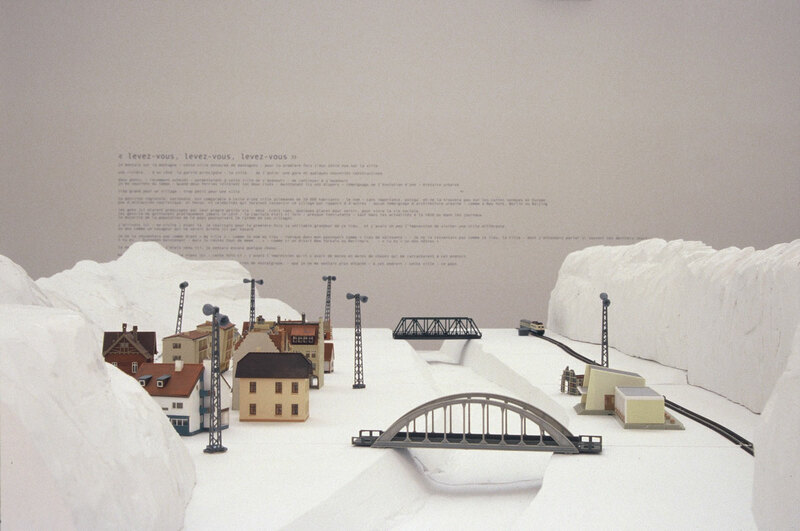 The landscape is made of styrofoam with german scale models (size H0).